All students deserve an education that helps them reach their potential and prepares them to succeed in college, in their careers, and as contributing members of their communities. However, many students experience tremendous adversity — including poverty, health challenges, institutional barriers to success, violence, and difficult family circumstances — that may stand in their way. Students’ success in school is dependent upon more than high academic expectations and excellent teaching, although both are critically important. Success also requires creating systems of support to ensure no child falls through the cracks; making sure students attend school regularly, despite any challenges they may face; and supporting young people’s social, emotional, and behavioral needs in schools that are positive and safe. Providing all students and youths with strong supports has been at the heart of President Barack Obama’s agenda for education and opportunity. In 2014, President Obama launched My Brother’s Keeper (MBK), a call to action to address persistent opportunity gaps facing boys and young men of color and to help all young people reach their full potential. The President’s vision was based on the idea he described in a 2014 speech, noting: “my neighbor’s child is my child…each of us has an obligation to give every child the same chance this country gave so many of us.” The President’s announcement encouraged candid dialogues around the country and a greater sense of responsibility among community leaders and youth to put all young people in a position to thrive, regardless of their race, gender, or socioeconomic status. The MBK Task Force focuses on critical points in children’s lives at which intervention can make the most difference. The Task Force works to ensure students enter school ready to learn; read proficiently by third grade; graduate from high school ready for college and careers; complete higher education or training; and successfully enter the workforce. The initiative also works to provide a second chance to those who have made mistakes and are paying their dues to society. In a first-of-its-kind report, the MBK Task Force recommended steps to be taken in each of these areas and chronicled progress through 2016. With the launch of the MBK Community Challenge, cities, Tribal Nations, towns, and counties across America are building and implementing cradle-to-college-and-career strategies to expand opportunity for all young people, consistent with the goals and recommendations of the Task Force. Nearly 250 communities in all 50 states, including the District of Columbia and Puerto Rico, have accepted the President’s My Brother’s Keeper Community Challenge. MBK Communities are leading Local Action Summits and have created more than 70 local action plans with the aim of improving outcomes for youths. More than $500 million in non-federal grants and in-kind resources have been committed by community stakeholders in alignment with MBK priorities. According to new data from the Department of Education’s Civil Rights Data Collection (CRDC), one of the biggest obstacles to learning and one of the strongest predictors of whether students will drop out before completing high school is chronic absenteeism. Students are considered chronically absent when they miss at least 10 percent of the days in a school year, or one month or more of school. To reach the estimated 5 to 7.5 million students who are chronically absent each year, the Departments of Education, Health and Human Services, Housing and Urban Development, and Justice partnered in 2015 to establish Every Student Every Day: A National Initiative to Address and Eliminate Chronic Absenteeism. The Obama Administration also created MBK Success Mentors — the nation’s first-ever effort to scale an evidence-based, data-driven mentorship model to reach and support the highest-risk students, mitigate chronic absence in schools, and improve their chances of success. Through this groundbreaking initiative, the Obama Administration is collaborating with states; local communities; and nonprofit, faith, and philanthropic organizations to identify more than 1 million young people at risk of falling behind in 30 communities. These young people are then connected with trained, caring adults who are linked to schools and community resources. Federal agencies also released, in 2015, a community toolkit with resources to combat chronic absenteeism. Getting students to the schoolhouse door is important; so, too, is ensuring that all schools are places that are safe and inclusive, where all children can experience the joy of learning. Yet, CRDC data shows that too many schools across the country use exclusionary discipline measures that take students out of their classrooms and, as a result, negatively affect their success and perceptions about school. The Departments of Education and Justice also released a School Discipline Guidance Package in 2014 that included guiding principles for improving discipline practices and legal guidance clarifying schools’ obligations under civil rights laws not to discriminate on the basis of race when administering school discipline. And in 2015, the Departments of Education and Health and Human Services issued a joint policy statement calling for the elimination of suspension and expulsion in preschool settings. Also in 2015, the Department of Education, in partnership with the MBK Task Force, released a resource guide for superintendents and launched Rethink Discipline at a convening hosted at the White House, with participation from school leaders from 40 school districts across the country. 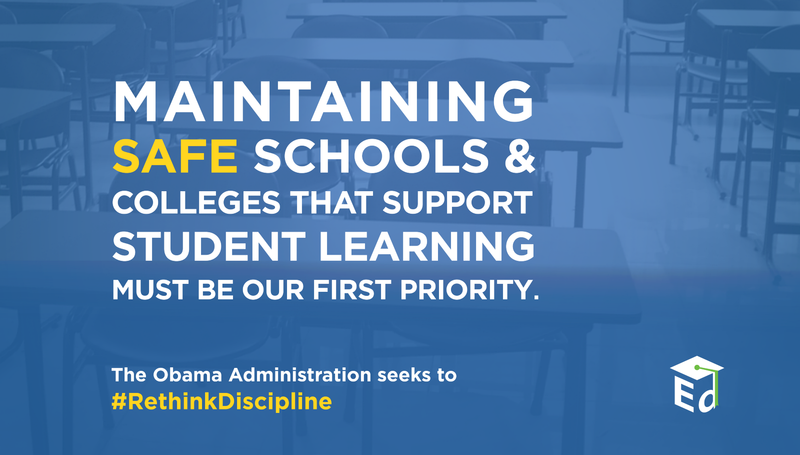 Rethink Discipline is a national campaign to reduce out-of-school suspensions and expulsions. 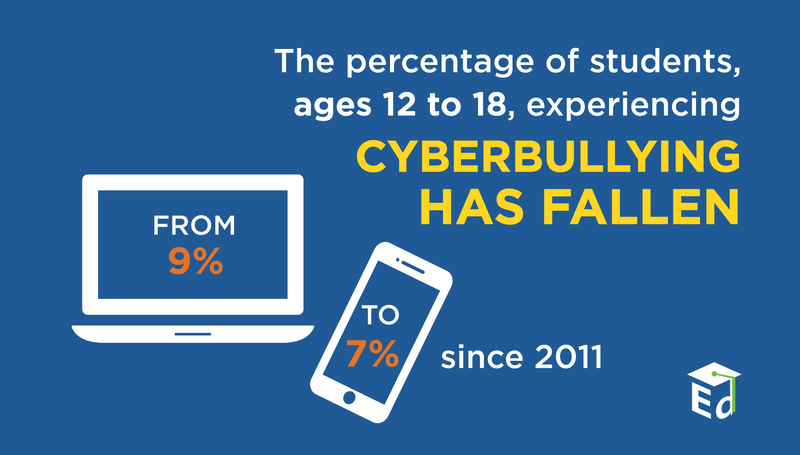 The nation has a collective obligation to prevent bullying and ensure U.S. schools are safe for all students. Early in his Administration, President Obama called for a coordinated federal strategy to prevent and reduce bullying in the nation’s schools. 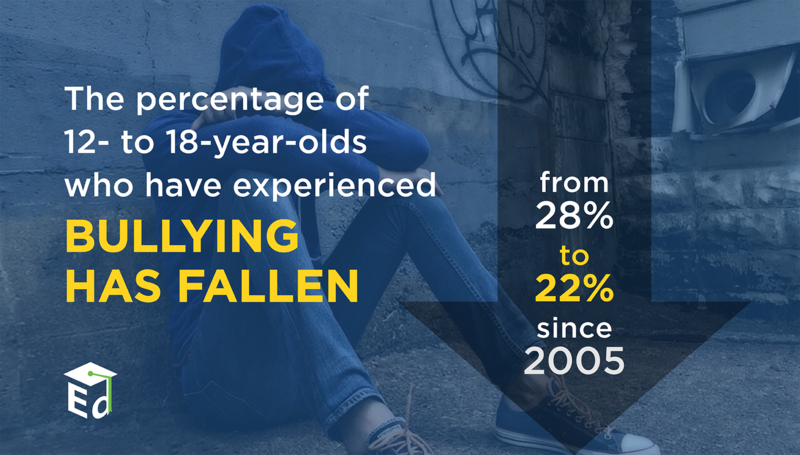 The result was the creation of Federal Partners in Bullying Prevention (FPBP), which, with the Centers for Disease Control and Prevention, created the first-ever uniform definition of bullying to help educators, researchers, and others identify behaviors and monitor trends in bullying over time. The FPBP’s StopBullying.gov website has become a one-stop shop for federal bullying information. 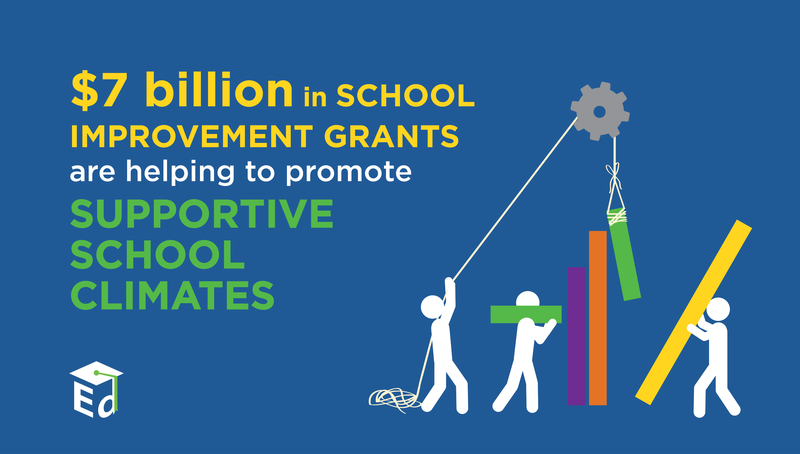 The Obama Administration has focused on making sure schools offer opportunities for physical activity, provide high-quality nutritious food, and make available services and supports for students’ healthy growth and development. First Lady Michelle Obama’s Let’s Move! 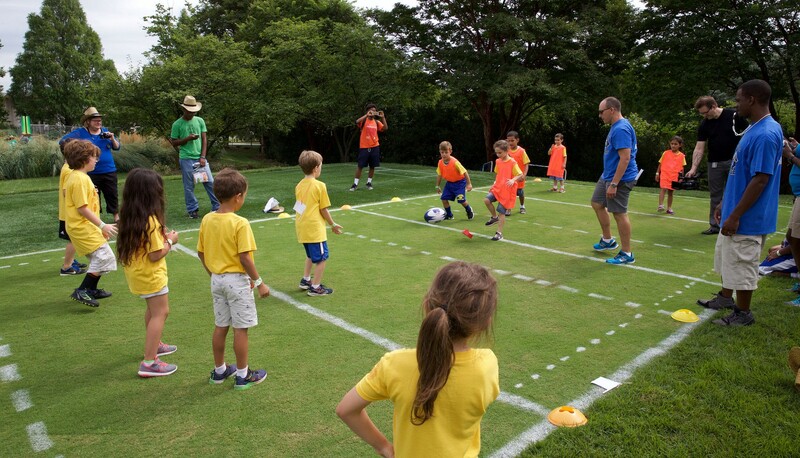 campaign increased awareness about the importance of health and nutrition and provided families and educators with numerous tools and resources to support children’s health. And, through the President’s Affordable Care Act, districts and schools now have expanded authorities to provide Medicaid reimbursable health services at and through schools. The Departments of Education and Health and Human Services also released a Dear Colleague Letter and tool kit encouraging health and education agencies to coordinate their efforts to better serve the needs of students and their families. With a collaborative approach involving entire communities the nation can expand opportunity and develop solutions to address the challenges that young people face. 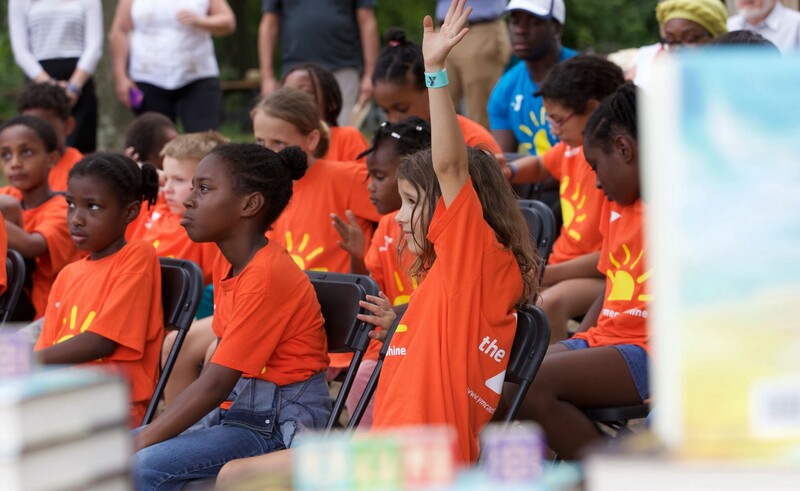 To leverage the power of collaboration on behalf of the healthy development and learning of children and youths, the Obama Administration created its signature Promise Neighborhoods initiative. Almost 50 of the nation’s most disadvantaged and underserved communities are using nearly $300 million in Promise Neighborhoods funds to create partnerships among more than 700 schools and local public and private organizations to meet the needs of children, youths, and families. 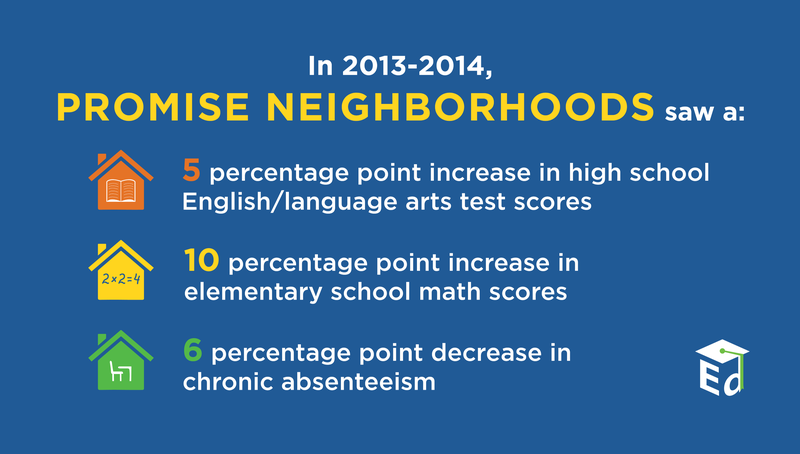 The encouraging gains from Promise Neighborhoods represent one reason why the program is now enshrined in the Every Student Succeeds Act, signed by President Obama in 2015. All young people — no matter where they grow up — need the skills to thrive in school, life, and the workplace; and all Americans have a role in ensuring their success. That is why the Obama Administration focused on achieving better outcomes for “opportunity youths” — the nearly 6 million young people, ages 16 through 24, who are neither in school nor working. The MBK Alliance is helping young people — particularly boys and young men of color — to obtain their first jobs through job fairs in communities across the country. The Obama Administration’s blueprint for transforming career and technical education through a reauthorization of the Carl D. Perkins Career and Technical Education Act, released in 2012, also aims to ensure all young people are provided with high-quality job-training opportunities that set them up for success in the workforce and life. And the Performance Partnership Pilot initiative is testing innovative strategies for increasing employment and improving educational and other key outcomes for opportunity youths. Education can only fulfill its promise as the great equalizer — a force that can overcome differences in privilege and background — by greatly reducing the number of children and youths who are out of school and by ensuring that students who are in our schools and communities receive the supports and services they need to achieve. If the nation continues this critical work, every young person will have a clear path to a bright future.